Synopsis: Hailed as “impossible to put down,” the Hex Hall series has both critics and teens cheering. With a winning combination of romance, action, magic and humor, this third volume will leave readers enchanted. Thoughts: "Holy hell weasel" perfection. 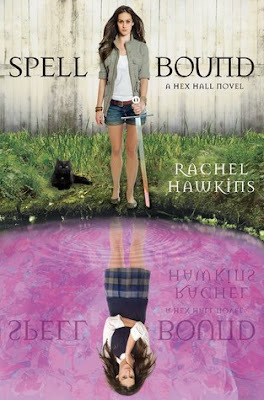 Spell Bound is faultless and a brilliant ending to the series. I could not have asked for more. Spell Bound picks up where we left off in Demon Glass... Well kind of. Sophie's powers have been sealed off and she now finds herself with the Brannicks. But they have a plan and Sophie is the key. Then, suddenly, Sophie finds herself back at Hex Hall and she'll need the help of Jenna, Cal, and Archer to defeat the evil demon raising Casnoffs. I fell in love with all of these characters in Hex Hall and throughout Demon Glass and to Spell Bound my love for them all just continued to grow. I adore Jenna and think she's a fabulous best friend. I adore Cal and totally want him for myself. I adore Sophie's family. I adore the villains and friends. I'm in love with Archer Cross and his arrogance and sexiness. And mostly, Sophie Mercer. 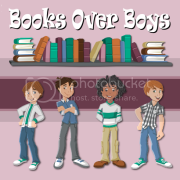 Who is a protagonist full of wittiness, who's heart is always in the right place, who is powerful and overall brilliant. It's an ending not without sacrifice, but where I still sighed with complete happiness when I was done. I couldn't have asked for a more enjoyable and witty series. I loved every part of the Hex Hall series and I cannot praise Rachel Hawkins enough for it.